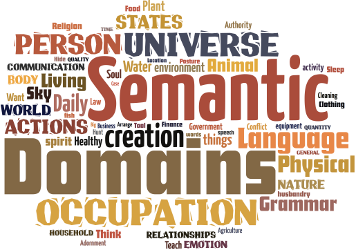 Ilah Fleming developed a list of basic semantic constructions and constituents from a universal, etic viewpoint. Her purpose was to facilitate emic semantic analysis in previously under-described languages. Although her list is not a list of semantic domains, it is an excellent source for semantic concepts that tend to be expressed by functors.